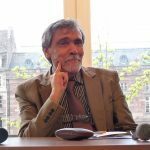 Abdelfattah Kilito (عبد الفتاح كيليطو; born 1945, in Rabat) is a Moroccan writer. He is the author of several books in Arabic and in French. He has also written articles for magazines such as Poétique and Studia Islamica. Some of the awards Kilito has won are the Great Moroccan Award (1989), the Atlas Award (1996), the French Academy Award (le prix du Rayonnement de la langue française) (1996) and Sultan Al Owais Prize for Criticism and Literature Studies (2006). 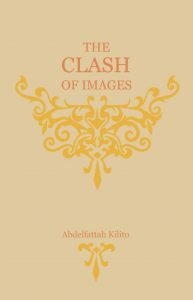 Abdelfattah Kilito Author Abdelfattah Kilito (عبد الفتاح كيليطو; born 1945, in Rabat) is a Moroccan writer. He is the author of several books in Arabic and in French. He has also written articles for magazines such as Poétique and Studia Islamica. Some of the awards Kilito has won are the Great Moroccan Award (1989), the Atlas Award (1996), the French Academy Award (le prix du Rayonnement de la langue française) (1996) and Sultan Al Owais Prize for Criticism and Literature Studies (2006).